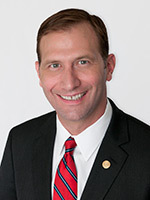 Throughout his time in the Texas Senate, Senator Schwertner has fought for the families in his district by supporting retired teachers, working to make higher education more affordable, and protecting children from abuse and neglect by reforming the Department of Family and Protective Services. Schwertner has also worked to protect our seniors by authoring legislation to improve nursing homes and punish bad actors in the industry. In the Senate, Dr. Schwertner serves on the Senate Committees on Business and Commerce, Veteran Affairs & Border Security, Agriculture, and Transportation, as well as serving as the Vice Chair of the Senate Committee on Intergovernmental Relations. For his leadership in the Texas Legislature, Senator Schwertner has been named a "Taxpayer Advocate" by Texans for Fiscal Responsibility, a "Fighter for Free Enterprise" by the Texas Association of Business, a "Courageous Conservative" by the Texas Conservative Coalition, a "Lone Star Conservative Leader" by the Texas Conservative Roundtable, and "Senate Freshman of the Year" by Texas Monthly magazine. 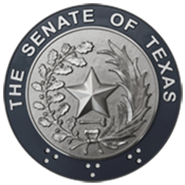 Additionally, Senator Schwertner has been named a CASA Champion for Texas Children, YMCA Champion, and Legislator of the Year by the Texas Assisted Living Association. Charles comes from six generations of farming and ranching in Texas. In addition to his role in the Texas Legislature, Dr. Schwertner also works as a practicing orthopedic surgeon, treating thousands of patients each year. He and his wife Belinda (an obstetrician/gynecologist) reside in Georgetown with their three sons: Carson, Zachary, and Matthew.